The FIRST STEP Act, the Senate version of a bill recently passed in the House, is landmark legislation. With bipartisan support and the endorsement of President Trump, it is intended to bring about reform in the nation’s prison system by changing many of the rules and procedures that have enforced strict sentencing and discouraged rehabilitation. The legislation promotes placing individuals serving time in facilities closer to their homes, to enable more frequent family visits, and providing more flexibility to judges in sentencing guidelines. In addition, it places great emphasis on offenders’ access to drug treatment and job training. In his endorsement of the legislation, President Trump made it clear that the No. 1 priority should be protecting citizens from predators who could harm them. To that end, I believe making improvements in the way we prepare former offenders to re-enter society is a critical element of an effective crime prevention strategy. To date, national rates of recidivism have been dismal. According to the Bureau of Justice Statistics, 68 percent of those released from prison were rearrested within three years, 79 percent within six years and 83 percent within nine years. The question is, what can be done to help ensure that former prisoners do not commit subsequent crimes? The lack of opportunity to work and be a productive citizen was not the reason that most people went to prison in the first place. Merely providing access to opportunity upon their release from prison will not be enough to put them on the path to personal responsibility. Internment does not affect all offenders in the same way, or to the same degree. For those who have changed their attitude and taken responsibility for their crimes during incarceration, access to external resources such as job training, educational programs and employment opportunities may be sufficient for their successful reentry into society and their families. Tragically, for the majority of men and women returning from imprisonment, opportunity alone is not enough. They face internal barriers of attitude, absence of vision and trust, and carry with them the mentality of the self-centered criminal lifestyle. Many entered a life of crime and imprisonment in a wounded and broken state. Many have suffered abuse and abandonment in their lives. Research has shown that up to 70 percent of people in our nation’s prison have spent time in foster care and have spent their childhood and youth experiencing a series of placements and disruptions in their living situations, each of which may have damaged their socioemotional development and well-being. For men and women who carry with them these obstacles upon release from prison, successful reentry and the prospect for becoming productive members of their community will require committed intervention and preparation to address character development and personal transformation. One of the organizations in the Woodson Center’s nationwide network of community leaders and organizations, Jon Ponder’s HOPE for Prisoners in Las Vegas, is an outstanding example of the far-reaching, remarkable impact that such preparations can have for reentering ex-offenders, their families and communities. From his personal saga of spending years in and out of prison, Ponder understood firsthand the gravitational pull of his old lifestyle and predatory behavior, in the absence of a counterforce of support, opportunity and a vision for the future. When he was empowered to reclaim and redirect his life, he dedicated himself to helping others to do the same. 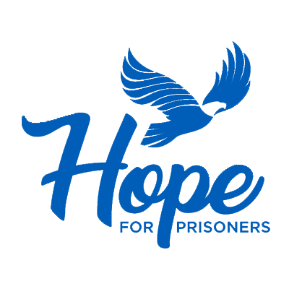 In 2009, he created the HOPE for Prisoners nonprofit to help former offenders meet the challenges they face in employment, housing, transportation and family reunification. Most importantly, his program is dedicated to instilling in participants the hope, trust and vision needed to begin the process of internal redemption through the personal investment and guidance of mentors. The most powerful — and surprising — of these mentors are officers of the Las Vegas Metropolitan Police Department. In many cases, these are officers who initially arrested them years ago. As they guide their mentees through life-skills and job-readiness training and help them to reestablish family relationships, the officers create heartfelt, transparent relationships with them. Both the police officers and former offenders undergo a transformation in the way in which they see one another. “Not only is it helping men and women view law enforcement from a different perspective, but on the other side of the equation, it’s helping law enforcement begin to look at the men and women who are coming home from prison, who are truly fighting for a second chance, from a whole different lens,” says Ponder. To date, more than 2,300 men and women have graduated from HOPE for Prisoners, many of whom have begun to guide others. A University of Nevada, Las Vegas evaluation of the program found that, of those who completed the pre-vocational leadership training course, 64 percent found stable employment; only 6 percent were re-incarcerated. Yet the most powerful evidence of the transforming power of the program are the stories its participants — they learn to support themselves and their families, and transform from people who were takers to people who desire to give back. Ponder sees his program not as an anomaly but as an effective strategy for the reclamation of lives. He devotes a portion of his time traveling throughout the country to introduce others to prospects to adopt the model, including counterparts in Milwaukee who have established Partners in Hope, which has made his vision a reality in their city.